Hunter Greene at the Dream Series. A few weeks back, in casual conversation, a player agent told me that he had learned something shocking. One of his clients, the agent said, was the only African-American pitcher in his team’s entire farm system. I responded that the situation almost certainly was not unique, that every other major-league club probably was experiencing a similar void. So, I contacted all 30 clubs, asking them to disclose the number of African-American pitchers in their respective farm systems. I also asked each to reveal the number of African-American catchers in its organization, knowing that such players were in rarer supply. Every club responded. And the results were not surprising for a sport that continues to face a shortage of African-American talent as it celebrates on Saturday the 70th anniversary of Jackie Robinson breaking the color barrier. The shortage is particularly severe with pitchers and catchers, who occupy the positions of greatest responsibility on the field. The 30 major-league teams opened the season with a combined total of 54 African-American pitchers in the minors, or less than two per team. The total number of African-American minor-league catchers in all of baseball was five, or one every six clubs. 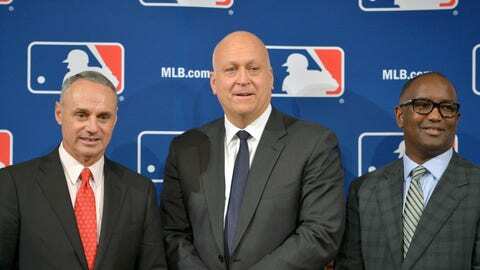 “The numbers are low, but it is not a phenomenon that is shocking to me,” commissioner Rob Manfred said Thursday when I informed him what the clubs had reported. Those programs include the inaugural Dream Series, an event that was attended by a diverse group of more than 60 high-school pitchers and catchers in January in Tempe, Az., all expenses paid. 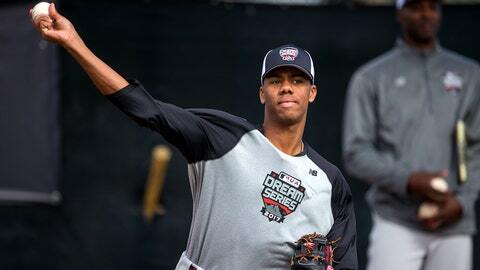 Such development camps take place mostly in obscurity, but the focus on baseball’s efforts could rise sharply if Hunter Greene, a pitcher-shortstop from Notre Dame (Ca.) H.S., becomes the first African-American pitcher since 1991 chosen first in the amateur draft. Greene, the No. 1 draft prospect according to MLB.com, is a product of a number of baseball’s youth programs, including Reviving Baseball in Inner Cities (RBI) and the Urban Youth Academy in Compton, Ca. His arrival will be welcome, to say the least. Seven teams opened the season with neither an African-American pitcher nor catcher in their minor-league systems. Eight had one African-American pitcher and zero catchers. Half the clubs, in other words, were practically barren at those spots. The numbers reflect a snapshot in time – the Athletics, for example, had zero African-American minor-league pitchers at the start of the season after graduating one to the majors, right-hander Jharel Cotton. Seven more African-American pitchers and one catcher are in extended spring training, recovering from injuries in some cases, awaiting assignment to minor-league clubs, the teams said. Still, the numbers show that baseball’s initiatives are years away from making a significant impact at the major-league level. 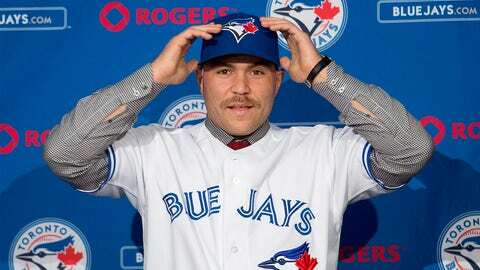 Major-league rosters on Opening Day included 13 African-American pitchers and one African-Canadian catcher, the Blue Jays’ Russell Martin. The overall percentage of African-American or African-Canadian major leaguers was 7.73 percent, down from 8.27 percent in 2015 and ’16, according to MLB. The difference in those percentages is four players, and Ian Desmond, David Price and Tyson Ross are among the African-American players who opened the season on the disabled list. The United States in 2015 was 13.3 percent African-American, according to the U.S. Census Bureau’s Population Estimates Program. Baseball peaked at 19 percent African-American in 1986, according to Mark Armour from the Society of American Baseball Research, whose work was cited by the New York Times. Some ask, why does any of this matter? Why is the racial makeup of the sport significant at a time when Opening Day major-league rosters and disabled, restricted and suspended lists featured a record number of players born outside the U.S. – 259 of 868, or 29.8 percent? The answer is simple: Every professional sport wants to attract the best athletes, and in turn the widest possible audience. And baseball, as the first major professional sport to integrate, traditionally has embraced a higher level of social responsibility. In 2016, baseball spent approximately $30 million on youth development for underserved communities, according to league officials. What is the end game? What is the goal? “Numbers in this area, they have another word for them – they’re called quotas,” Manfred said. “I don’t think that is something we should embrace as an institution. Quotas are divisive and have questionable legality. Pirates right fielder Andrew McCutchen, in a MLB Network roundtable airing Sunday at 8 p.m. (ET), issues a telling response when host Harold Reynolds mentions that teams rarely include as many as six black players anymore. “The question is, why?” McCutchen says. He then raises his right arm and rubs his thumb against his other fingers, making the universal gesture for money. 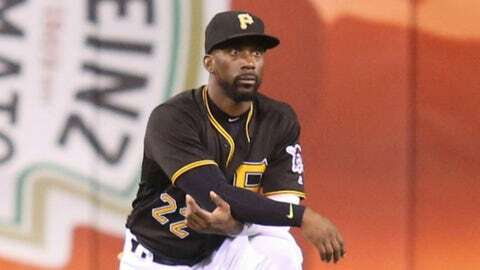 “This right here, this right here,” McCutchen says, continuing to gesture. “This is the main reason that you don’t see it anymore. McCutchen is talking about the culture of youth baseball, which is shutting out low-income players of all races due to the rising costs of showcases and travel ball. In March 2015, Manfred appointed former Angels general manager Tony Reagins, an African-American, as the league’s senior vice-president for youth programs. Over the past two years, baseball has joined with USA Baseball to establish showcase-type events that young players can attend at no cost. The Dream Series was one. The Prospect Development Pipeline, an invitation-only series of 17 events across the U.S., is another. The Elite Development Invitational, an annual two-week camp for more than 200 minority or underserved players ages 13 to 17 in Vero Beach, Fl., is a third (the players’ union is a partner in the invitational as well). In addition, Reagins said, baseball is working with private scouting and development companies like Perfect Game to incorporate young African-Americans even if the players cannot afford the fees for tournaments and other events. If baseball achieves that objective, an increase in the number of African-American pitchers and catchers naturally will follow. Miller said that African-American pitchers and catchers do not suffer from the same stigma that once held back black quarterbacks in the NFL – an institutional belief that such players are not intelligent enough to handle decision-making positions. The bigger problem, in Miller’s view, has been baseball losing such athletes to other sports. Case in point: Tampa Bay Buccaneers quarterback Jameis Winston, a pitcher/outfielder whom the Rangers could not persuade to play baseball after selecting him in the 15th round of the 2012 draft. Slowly, though, the momentum might be shifting. In the past five drafts, 20.2 percent of the first-round picks were African-American. Five of those 34 selections (Marcus Stroman, Touki Toussaint, Justus Sheffield, Dillon Tate and Justin Dunn) were pitchers. None was a catcher. 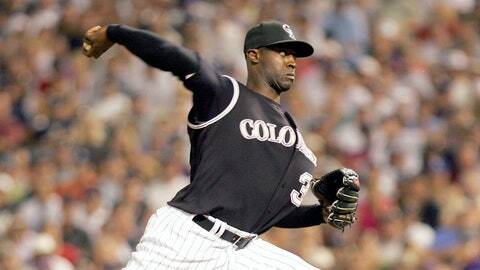 The Dream Series, which included a number of African-American instructors – former pitchers Dave Stewart, LaTroy Hawkins and Darren Oliver, former catchers Charles Johnson and Lenny Webster – showed a different kind of progress. “It was just mind-blowing to me that there are so many African-American kids out there who taking an interest in pitching and catching,” Hawkins said. Miller, too, said he senses the “tide turning” at those positions. “Guys are actually buying in,” Miller said. “They’re beginning to understand that you’re running the game if you’re a pitcher or a catcher. You’re the quarterback. You’re in charge. 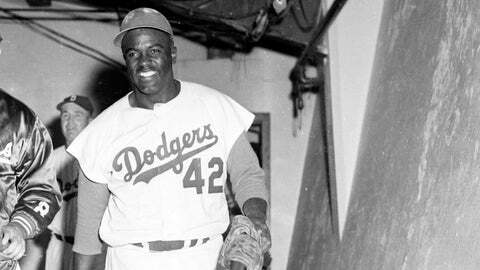 Every year around Jackie Robinson Day, it’s the same refrain. Baseball is trying harder. Baseball is doing better. Baseball is finding more African-American talent. 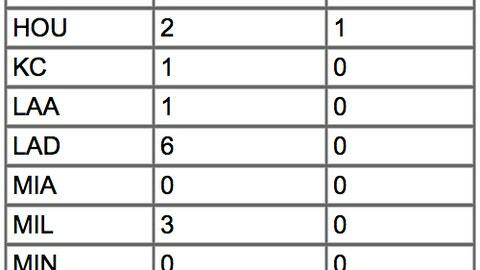 Yet, the raw numbers in the majors indicate little change. Skepticism is warranted. Some within the sport remain frustrated. An issue that did not surface overnight will not disappear overnight, and is too complex for anyone to identify one cause or one solution. *An increase in college scholarships. MLB wants this to happen; the NCAA allows only 11.7 scholarships per institution for Division I baseball, compared to 13 for men’s basketball and 85 for football. How damaging are the limits for baseball? Consider that 74 percent the players in last year’s draft came from four-year schools and junior colleges, according to league officials – and that only 3.3 percent of Division I players in 2015-16 were African-American, according to the Institute for Diversity and Ethics in Sport. Baseball is willing to spend millions to fund additional Division I scholarships for those in need, if only the NCAA would allow it. Those conversations will continue, Manfred said. MLB and the NCAA would need to determine how to properly distribute the scholarships. Title IX requirements likely would necessitate that MLB fund an equal number of scholarships for both softball and baseball. *An adjustment in the draft. 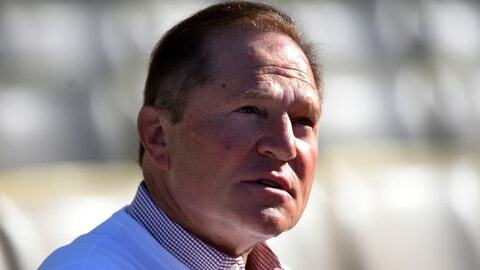 Baseball introduced spending restrictions on domestic amateurs with the 2012 collective-bargaining agreement, prompting agent Scott Boras to say that the new rules would drive elite athletes to other sports. While it’s difficult to prove Boras’ point, the bonuses in the NFL and NBA drafts are capped at higher numbers than the bonuses in baseball. What’s more, NFL and NBA picks begin their earning cycles immediately, without spending time in minor leagues. The draft-pool system remained intact in baseball’s new CBA, but why not consider a change that would entice players from underserved communities, perhaps by allowing a certain number to sign for unrestricted amounts? *The construction of more urban youth academies. Nine such academies currently are in operation or in development in the U.S. But some players note that major-league teams operate a far greater number of facilities in Latin American countries. “Infrastructure. That’s the main thing,” Orioles center fielder Adam Jones says in the MLB Network roundtable. “MLB, all the teams, you go to the Dominican, Venezuela, those respective countries, they’re out there searching. *An expansion of the White Sox model. Every team sponsors youth initiatives, but the White Sox, with their Amateur City Elite (ACE) program, have set the standard for what teams might accomplish in developing young African-American players. The White Sox spend more than $400,000 per year on their program, which includes approximately 180 inner-city youths who play on teams ranging from 12-and-under to 17-and-under, according to Christine O’Reilly-Riordan, the executive director of White Sox charities. The Sox pay for uniforms, coaches, facilities and extra equipment, and since the program’s inception in 2007 have added educational support and strength and conditioning programs, O’Reilly-Riordan said. The results have been stunning. One-hundred forty-eight of the program’s participants have earned college scholarships, O’Reilly-Riordan said. Outfielder Corey Ray is poised to become the biggest success story from ACE, if he isn’t already. The Brewers selected Ray out of the University of Louisville with the fifth overall pick in last year’s draft. *A renewal of outside-the-box thinking. Hawkins, a seventh-round pick of the Twins in 1991 who spent 21 years in the majors, said his own story is instructive. “I think teams have to go off of the normal path and find guys,” Hawkins said. “I think about myself. I wasn’t a pitcher. I was a thrower. I just played baseball. But there were guys who looked at me and said, ‘You know what? That kid has a chance to be a pitcher.’ And they took a chance on me. The bottom line: Baseball can always do more. Come June, the sport can showcase Greene as an example of what the sport’s diversity initiatives can accomplish, particularly if he is selected first by the Twins. Baseball also can promote itself as a safer alternative to the NFL, which faces ongoing concerns about the long-term health of its players. Baseball officials do not typically comment on problems that other leagues face. Still, it’s not exactly a secret that the NFL’s issues are creating opportunity for other sports. The question that must be asked, on Jackie Robinson Day and every other day, is whether the man who broke the sport’s color barrier would be satisfied with the current state of affairs. Baseball cannot stop until the answer is yes.